We’re pleased to welcome our new SACC Trainee Jacob Hansen Karaduman to the SACC-NE team! 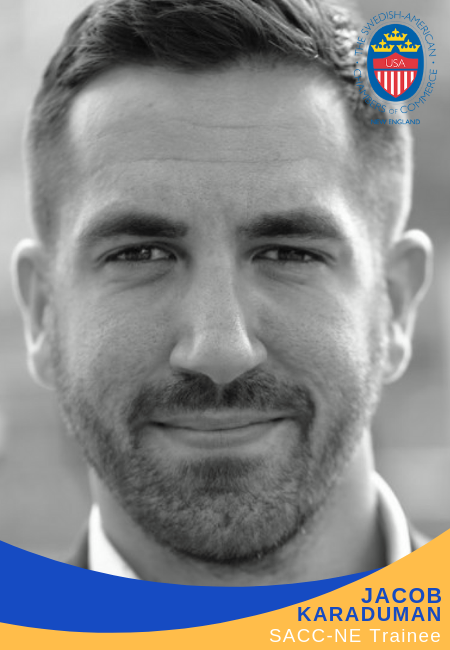 Jacob joins us from Stockholm with a strong background in entrepreneurship and fintech. Before getting involved in the growing Swedish startup scene, Jacob pursued a Master’s degree in International Business at Griffith University (Australia). Prior to that, Jacob obtained his Bachelor’s degree in Business Administration from the University of Lincoln in the United Kingdom. Jacob is passionate about entrepreneurship and international trade, and looks to bring that energy to his work at SACC-NE. SACC-NE met many, if not all of the criteria I was looking for. I was looking for an opportunity that would offer me hands-on experience with international business, an area I have academic knowledge of but little to no practical experience in. This combined with the opportunity of living and working in the United States while experiencing the local business culture in my everyday life made it a perfect match. 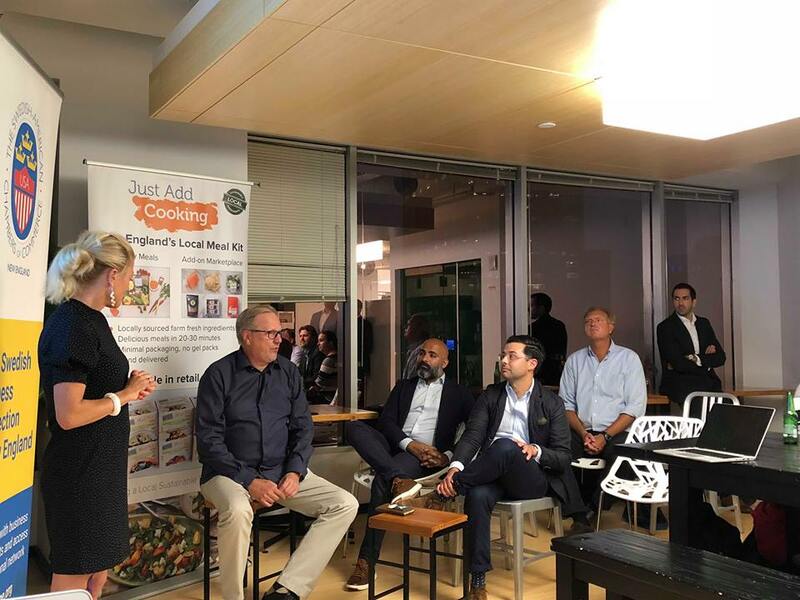 I believe my hands-on experience in the startup scene and academic background in international business provides me with a sound platform to understand the needs and challenges facing companies seeking to pursue international expansion. What are your expectations of Boston? Besides trying out the famous lobster rolls and visiting Fenway Park, I am eager to explore other parts of the New England region ranging from the marina in Newport to the ski slopes in Vermont. I am also keen on experiencing Boston’s urban environment - especially the booming brewery scene with a seemingly endless supply of new ales to try out. I recently finished reading My Name is Red by Nobel Laureate in Literature Orhan Pamuk (2006). The book manages to illustrate Turkey’s never ending balancing act between east and west illustrated through the use of a ‘who did it?’ murder story and the lives of the sultans miniaturists and surrounding characters. My Name is Red is a page turner that, besides being an intriguing read, still carries plenty of symbolic value. Highly recommended! With the summer almost over, schools open, and the Swedish elections leaving much open for debate on the world stage, I’m pleased to share with you some announcements from our end as well! As you may have seen in our previous emails, we will be hosting our Annual Meeting this Thursday, September 13th from 6pm at 50 Milk Street, Boston. During our Annual Meeting, we will highlight what we did in the 2017 – 2018 year as well as introduce to you the program we’re planning for the upcoming year followed by networking. After having spent a lot of time and energy over the last few years developing a powerful platform comprised of some of Sweden and New England’s most recognized partners, we are working hard to develop programs, experiences, and events designed to introduce you to more meaningful connections and opportunities. 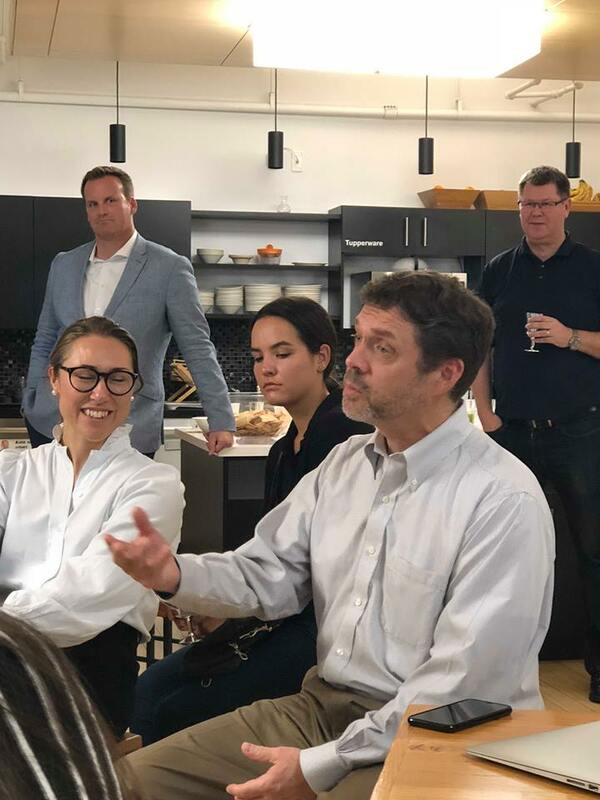 We are also looking to bring more fun and engagement to our organization while fulfilling our mission of continuously promoting trade, innovation, and business relationships between Sweden and the United States. I would additionally like to take this opportunity to welcome several new Corporate Members to the SACC-NE community, whom you will be hearing more from! These include Axis Communications, Hästens, Fjällräven, Boda Borg, Sweden’s Consulate to New York, and IceBug! We are thrilled to expand our network with some of Sweden’s most celebrated brands, and in the coming months, will share with you new SACC-NE Membership benefits and discounts. With a new program, members and projects in line, we are naturally expanding our team and are excited to introduce you to our new Trainee Jacob Karaduman and returning Intern Douglas von Rosen. In the next newsletter, we'll be introducing the team’s new additions - so stay tuned! 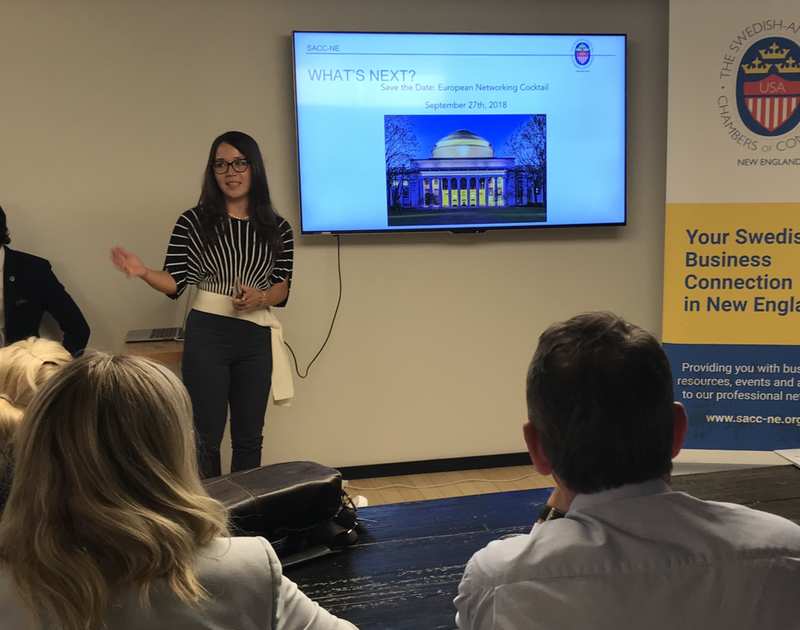 I encourage you to read the rest of our September newsletter, which includes invitations to our upcoming events, a spotlight story on our Summer 2018 SACC-NE ACCELERATE Internship, a fun video our Hult International Business School interns made this summer putting a light spin on difficult-to-pronounce Swedish words, and your weekly fix of what's current as far as Swedish-American news goes. Thank you for reading and wish to see you in the near future (maybe even at the upcoming Euro Networking Cocktail?) ! It's a wrap! 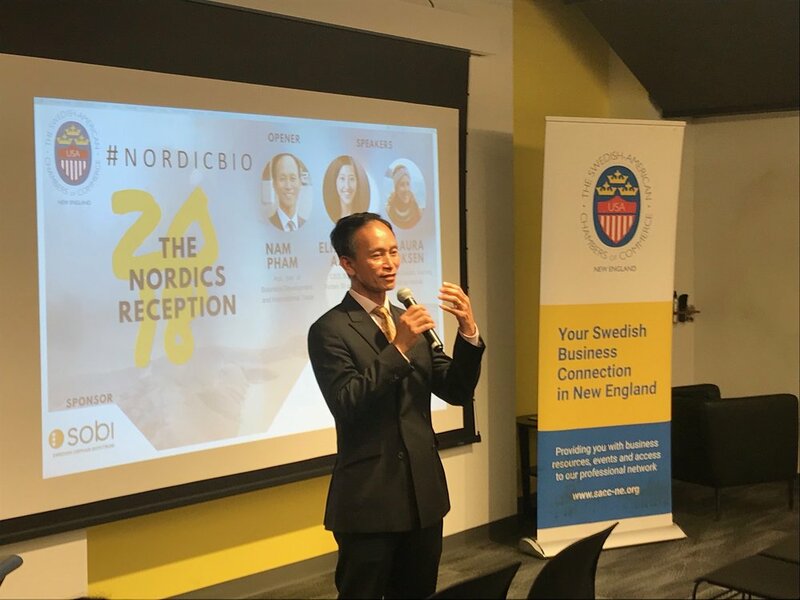 Thank you to our organizational partners and everybody who came to the Nordic Life Science Pavilion at BIO 2018 and our Nordics Reception Tuesday night! We also want to send out a big thanks to our event speakers, guest opener and opera singer. What a terrific week of BIO it has been!